So, you're looking into purchasing a brand new condo to suit your everyday life. 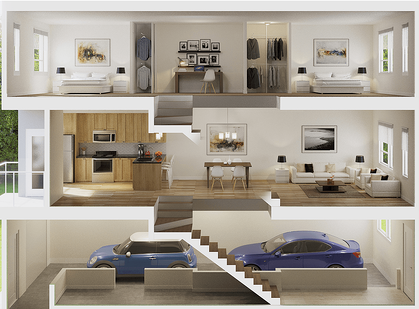 With so many fabulous new options to choose from, and in all different shapes and sizes, how do you pick the perfect floor plan to suit your needs? Below are a few tips and tricks to help you select the perfect floor plan for you and your lifestyle. There are a few misconceptions about condo living, one of which is all condos are small. The truth of the matter is condos come in all sizes, the right one for you simply depends on your individual needs. Firstly, when it comes to choosing the right size, it's crucial to consider your lifestyle as well as who you're living with. You want to think about how many bedrooms you'll need, how often you entertain and how many people you want to be able to invite over. Secondly, you want the space to have a relaxed and enjoyable feel, so think about how you use your home every day. Focus less on square footage and more on the functionality of the space while still taking bedrooms and bathrooms into account. This will help you determine how much space you actually need. 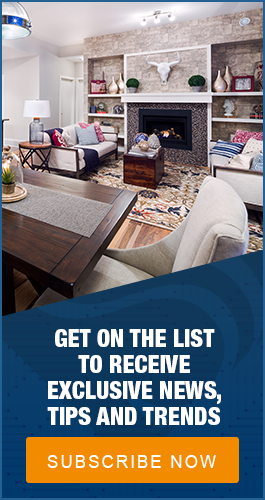 For example, you know you need at least two bedrooms, but if you don't spend much time at the dining room table, the square footage used in a formal dining area would be unnecessary. More square footage doesn't always guarantee better functionality for your lifestyle. Regardless of size, the layout is extremely important in determining if a condo is the right fit. Trust your instincts when it comes to the floor plan as you know what will work best for your needs. New buyers tend to focus on the square footage and finishes, rather than visualizing themselves using the space. While style is an essential factor in buying a new home, the layout is what will make your day-to-day living easier. When you're looking at floor plan drawings, don’t be afraid to ask if you're unsure about the layout. Once you've looked at a drawing, you can get a basic idea of what the in-person impression of the condo will be. Do you want open concept or separated rooms? Open concept is known for making a space look larger. 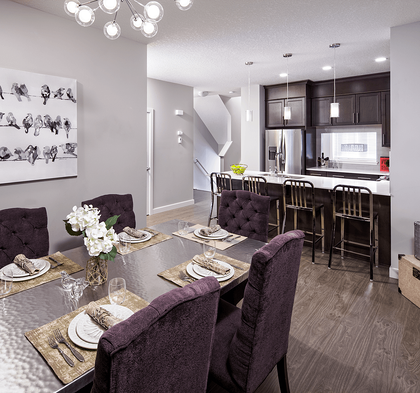 Another benefit of an open concept floor plan is it's perfect for everyday living and entertaining as you can engage with others in the main living spaces as you prepare in the kitchen. 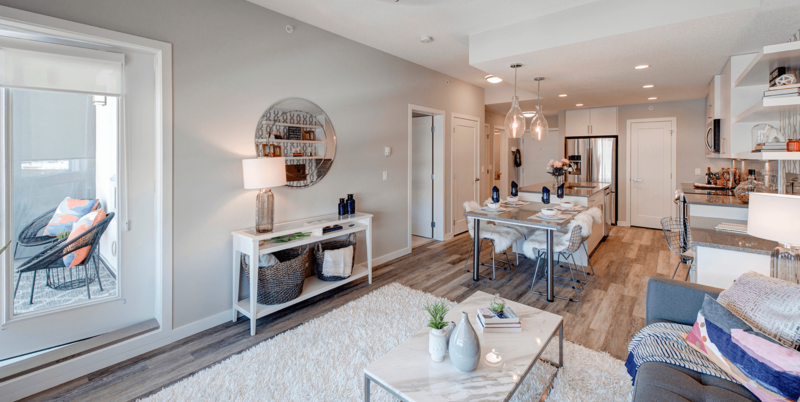 If you're planning to opt for open concept take a look at these nine open concept design tricks. On the other hand, if you like your spaces divided, you may want to consider a floor plan with enough square footage to make up for closed-in walls. Also, a closed concept gives the feeling of more privacy and you can give each space its very own function. After you've considered your ideal floor plan, you need to think about your decor. You want to know your furnishings will suit the layout, so it's good to take into account what you currently own and how it will fill out the space. Take a peek at these 5 five tips for arranging your new condo when you start planning. Buying a new condo is all about purchasing a home that will best fulfill your needs - for this reason, starting with the floor plan is key. With these concepts in mind, you should be able to make a proactive choice towards buying a condo with a seamless floor plan laid out just for you.